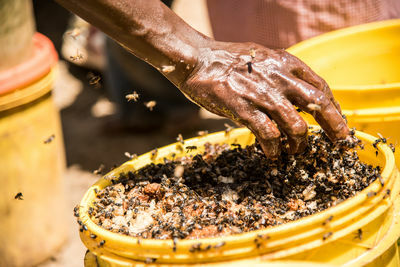 “This is my bank” says 53-year-old Agnes Cheptepkeny and motions towards her small tin house where two of the rooms from floor to ceiling are filled with bucketfuls of honey. “When I have money, I buy honey. This is how I save up. And when I need cash, I can sell a bucket or two” tells A. Cheptepkeny, whose one bucket of honey is worth around 80 Euros. 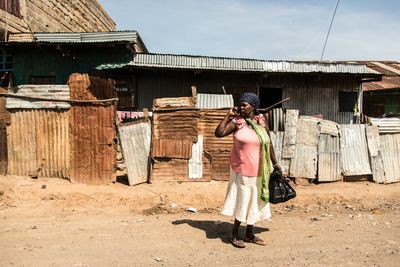 This woman lives in a town of Marigat, located in the Rift valley, Baringo County. This place is a home for people of Tugen, Ilchamus, and Pokot tribes which are known for their beekeeping and good quality honey. A. Cheptepkeny is from Tugen tribe and has been selling honey for quite some time. Kenya is not very famous for its honey. Ethiopia and Tanzania are places where the biggest amount of this liquid gold is being collected. On the other hand, Kenya’s nature is the same as in the previously stated countries, so there is definitely a potential for successful beekeeping and honey export, although slow adaptation of new technologies, lack of knowledge, small interest of younger generations, parasites and pesticides used in agriculture, climate change, an unorganized market, and undeveloped infrastructure are the main issues that encumber this activity. 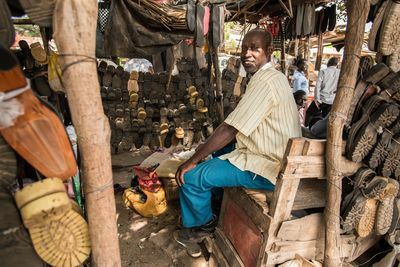 Philip Kipyertor (41) together with his wife is working as a shoemaker in Marigat town Kenya. 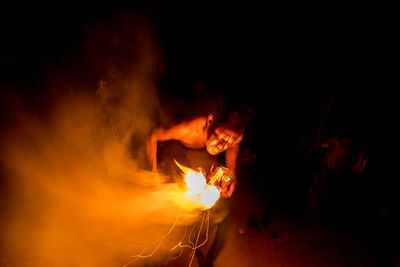 When bee hives are full, he also goes to harvest honey and sell it to add to family's budget. 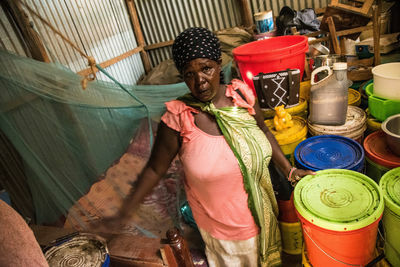 Agnes Cheptepkeny (53) in her room, fully stacked with buckets of honey. Agnes Cheptepkeny (53) is calling a motorbike driver, to come to her house and help to take a bucket of honey to the market. Philip Kipyertor (41) is firing up a bunch of sticks that he is later going to use to smoke the bees away from the beehive in Marigat, Kenya. Philip Kipyertor (41) is harvesting the honey from his beehive hanging high up in the tree in Marigat, Kenya. People produce honey for consumption, because it's high in energy. It is also used as sweetener and as a medicine. The honey and the beeswax is also sold to earn some extra money. In some places it is still used to pay dowries for the bride. 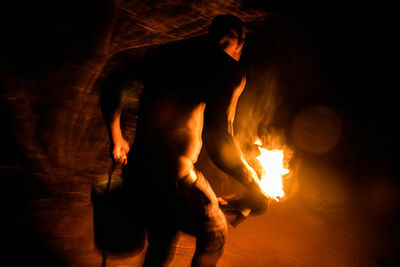 Philip Kipyertor (41) prepares to climb a tree with a bucket and fire to harvest honey in Marigat, Kenya. "This year a lot of beehives are empty because of the draught," says Philip. He works as a shoemaker in the town, but also has a few beehives and harvests honey to add some money to the family budget. Philip Kipyertor (41), Joseph Kipkoshoni (70) and Agnes Cheptepkeny (53) are checking freshly harvested honey combs in Marigat, Kenya. 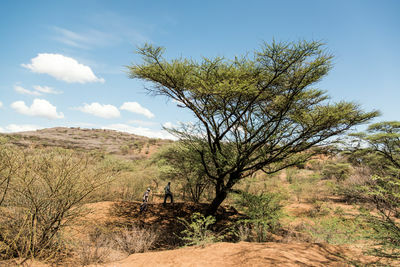 Philip Kipyertor (41) and Joseph Kipkoshoni (70) are walking around the trees and checking their beehives in Marigat, Kenya. 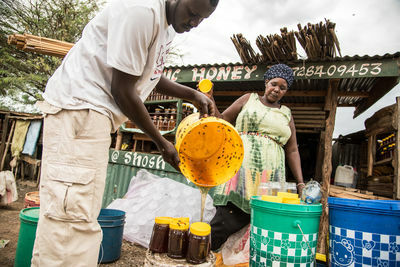 Agnes Cheptepkeny (53) and her son are processing the honey in Marigat market, Kenya. "This is my bank," says Agnes, pointing to honey buckets. Anytime she has cash, she buys honey, processes it and sells to make a living. 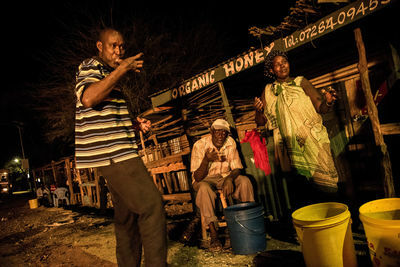 Honey is processed in Marigat market, Kenya. 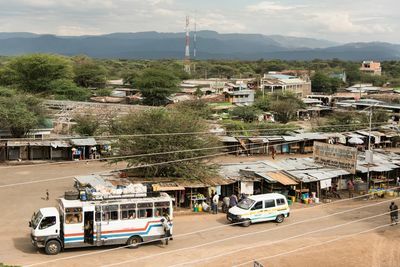 Marigat is a fast-growing town located in the Rift Valley, Baringo County. This area is home to the Tugen, Njemps and Pokot communities, famous for their honey. 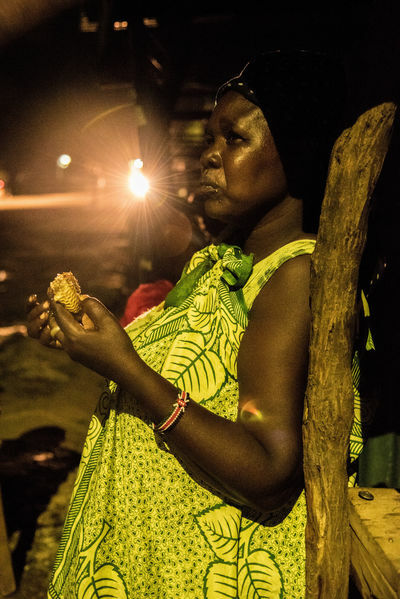 Agnes Cheptepkeny (53) waits for customers by her honey kiosk in Marigat market, Kenya. Agnes makes her living from honey and even started a certification process. Once her product is tested and confirmed to meet quality standards, she can label her honey jars and start to distribute it to markets and export it to other countries. 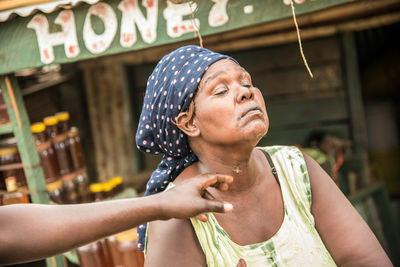 Agnes Cheptepkeny (53) is trying a freshly harvested honey, that Philip Kipyertor (41) and Joseph Kipkoshoni (70) brought to her in Marigat market, Kenya. 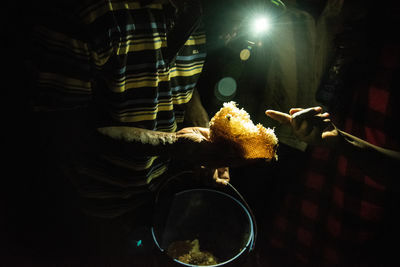 Agnes Cheptepkeny (53), Philip Kipyertor (41) and Joseph Kipkoshoni (70) taste a freshly harvested honey in Marigat market, Kenya. Marigat town and market along the road, Kenya. 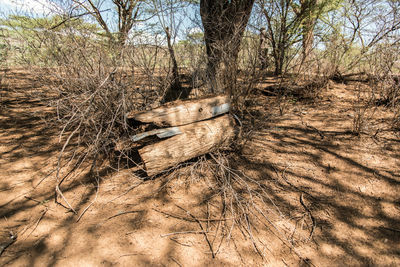 An old traditional log bee hive in the garden where Philip Kipyertor (41) and Joseph Kipkoshoni (70) go to harvest honey.